Iowa's Most Unusual Trophy Buck Ever? 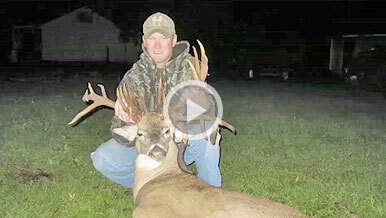 Travis Hamilton was able to take this freaky 33-point buck that scored 244 6/8 inches Pope & Young. The Buck won the Iowa Deer Classic's Most Unusual Trophy Buck ever award.